Just this morning I saw a homeowner plea for help in our neighborhoods online newsletter regarding a contractor dispute, and for the benefit of our readers wanted to offer the following basic advice which I offered my neighbor (minus the names of the experienced construction attorneys I referred). 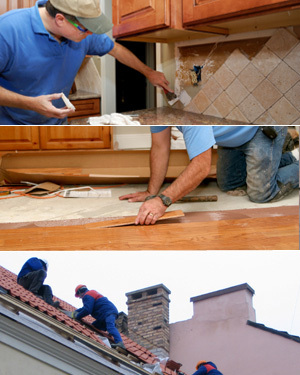 1 Always make sure your contractor is insured and for large jobs ask for a performance bond. 2 Make sure a detailed scope of work is drawn up, and bid prices are based off that document, and incorporate that document into the contract agreement – and yes there should always be a written contract agreement for any work over a few hundred dollars. 3 For work that involves more than cosmetic changes, such as structural changes and major system repairs and installations – hire an ICC Certified Building Inspector or GA Engineer to review the work, and even do multi-step inspections for larger projects such as when doing a room addition, whole house remodel, or certainly if you are buying a new home to be built or that is still under construction. 4 Buying a new construction home? Never assume everything will be fine just because you are buying a new home that has just been built, or is under construction. As someone with expertise in both the Atlanta real estate industry and who also has deep experience with new construction homes and GA builders, and the qualifications to evaluate and review the new home building process, construction codes, and home builders, I speak from over 35 years of combined experience. I can assure you that the county municipal inspectors are not holding the builders hand and will not protect you, and their inspections will not assure the builder and his/her contractors will perform proper construction workmanship and do what is right. Finally, this is not legal advice, but if you do need legal advice regarding construction and contractor disputes, claims of breach etc, you want an attorney experienced in those kinds of cases. Because I perform free pre-purchase building evaluations of all homes for all of my clients, and free periodic monitoring of new homes under construction for my new home buyer clients, they don’t have to worry about these kinds of disputes, and have a greatly reduced if not nonexistent exposure to the unexpected costs and hassles related to buying homes with serious defects and improper construction work. However, should the need ever arise, I maintain an extensive Concierge List of Trusted Real Estate Vendors of every type including two attorneys that have extensive experience addressing construction and design/build related issues and litigation – one is both an architect and attorney. If you are looking to buy or build a new construction home in the Lassiter High School District, or anywhere in East Cobb, North Fulton, or Greater North Atlanta area, contact me to discuss how I can make that a more pleasant experience and how my process helps to assure you get the well built home you deserve, at the best price possible.